The Middle School cafeteria peanut butter and jelly sandwich. The ultimate humiliation if your lunch money account runs low. Yes, I admit – I did it. Even in the computer age when lunch money is virtual, via an account on the school computer, accessed by the student’s account number, and even when the school sends me an email when the lunch money account is low, I can still find a way to be human and put my child through that embarrassment of embarrassments – having to eat the provided sack lunch that the kids who forgot their lunch money have to eat. When I was in school, the coins for lunch money came from a small basket of change my mom kept on the shelf in the laundry room above the dryer. I think the only thing we got to eat if we forgot our money was……….nothing? 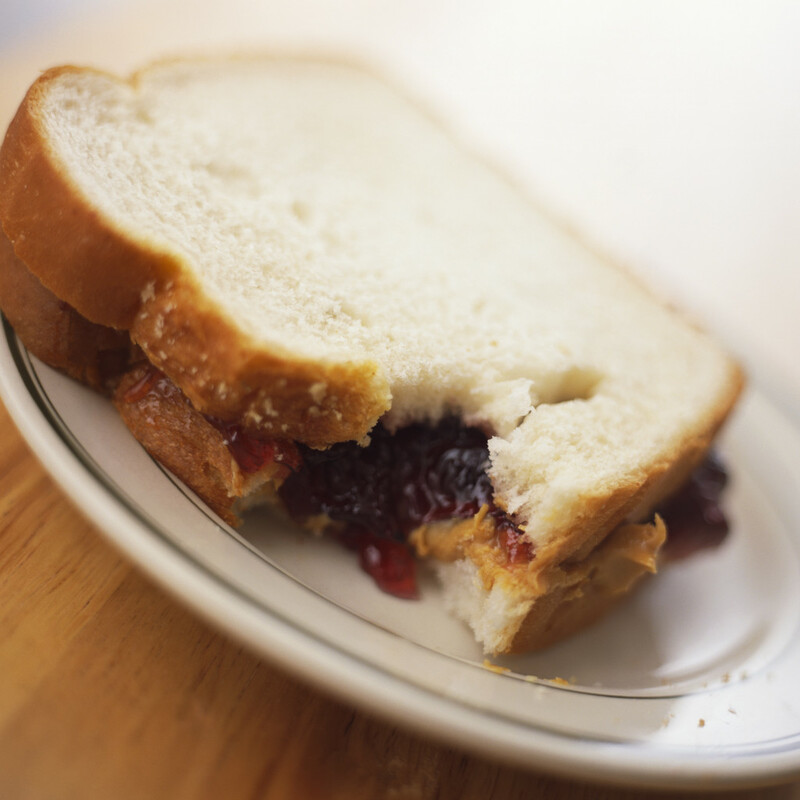 For a twelve-year-old girl who doesn’t want to stand out from the crowd, and who doesn’t even like PB&J, Wednesday’s lunch was quite the mortification. But one good thing about it – at least the free school lunch was the significant emotional experience my daughter needed to do her job of remembering she was out of lunch money. She took responsibility and got that lunch money as soon as I got home from work. Next Hilarious Army Dancing Video – from Baghdad With Love – Happy Memorial Day!! That’s you in the doghouse, Kirsche. Had me smiling though. Sorry about your fading memory, but hope all’s good otherwise.